Russian President Vladimir Putin hosted Israeli Prime Minister Binyamin Netanyahu on Thursday for talks focusing on the situation in Syria and Israeli concerns about the role of Iran and its proxies there. 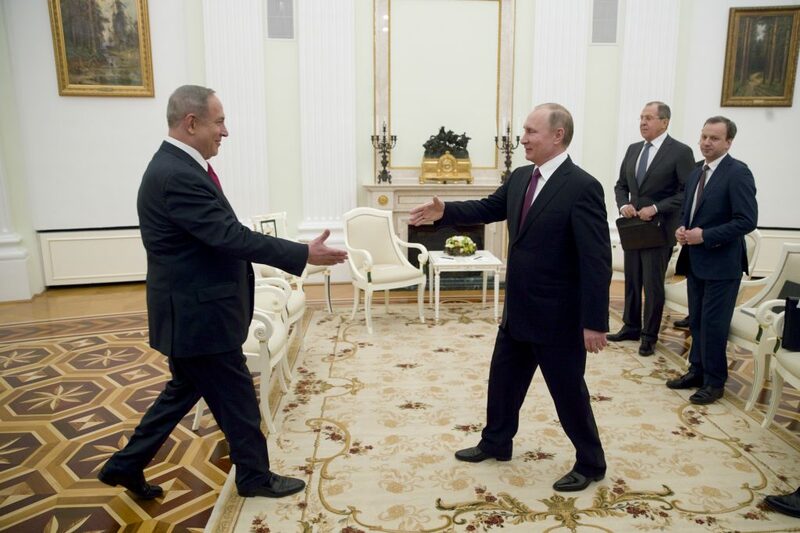 Greeting Netanyahu at the start of their Kremlin negotiations, Putin emphasized a high level of trust between them. Netanyahu’s visit to Moscow follows his talks last month with U.S. President Donald Trump. Netanyahu praised Russia’s role in fighting the Islamic State terror group and other radical militants in Syria. At the same time, he raised strong concern about the presence of Iranian and Hezbollah forces in Syria. Russia has sided with Iran and Hezbollah in helping support Syrian President Bashar Assad, but at the same time it has maintained warm ties with Israel. The two nations have coordinated their actions to prevent any possible incidents between their militaries in Syria. “The threat of radical Shiite Islam threatens us no less than it does the region and the peace of the world, and I know that we are partners in the desire to prevent any kind of victory by radical Islam of any sort,” Netanyahu said. Before the talks, Putin’s spokesman Dmitry Peskov denied media reports that Moscow has given Israel a green light to strike Hezbollah.